Prom & Ball Hair in Exeter! Is your prom or ball approaching? You’ve probably been planning the day for a long time, imagining how stunning you’ll look. You’ll be showing everyone how you’ve changed and become more beautiful over the years. This is your opportunity to try a hairstyle that lets your friends and family see you in a new light. It’s a chance to show how glamorous and sophisticated – or how fun and unconventional – you can be. Whatever your decision, you don’t have to make it alone. Your stylist at our hair salon in Exeter will help you choose the prom or ball hairstyle that’s perfect for you. She’ll let you know which styles suit your hair type and face shape and complement your dress. Together, you’ll find a style that looks wonderful and makes you feel fantastic. Healthy hair is the foundation of a great style. No matter the style, if your hair is unhealthy, it can’t look good. In the weeks before your prom or ball, stress and lack of sleep may have been taking their toll on our hair. Worries about exams and about your future may have made your hair dull and lifeless. We can help you get your hair back into shape before the day. We have a wide selection of strengthening, conditioning and revitalising products. Your stylist will let you know which ones are right for you. Buy them at our salon on Gandy Street in Exeter City Centre in time for your ball or prom and show off your healthy, glowing hair. 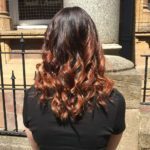 Call us on 01392 499162 to speak with one of our experienced hair stylists about your hair for your up coming event, or why not fill out our online form to make an appointment.